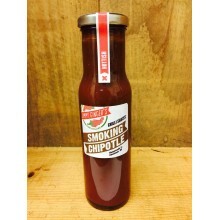 Jimmy Ginger's - Smoking Chipotle Sauce – 250mlSmooth, smokey sauce with a gentle kick, using our sm..
Jimmy Ginger's Chilli JamAnother lovely condiment that fits in with all dishes!! 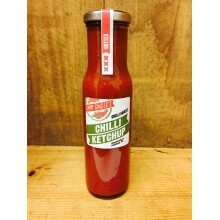 Sweet and Tangy.Del..
Jimmy Ginger's Chilli Ketchup – 250mlGreat condiment with cinnamon, cloves and mustard. 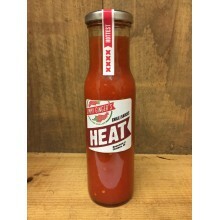 Worksi..
Jimmy Ginger's HEAT! 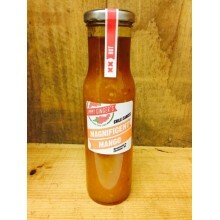 250mlOur hottest sauce, using the same base ingredients as hot chilli,but using..
Jimmy Ginger's Magnificent Mango Sauce! 250mlSweet and fruity sauce with a kick. Deliciou.. 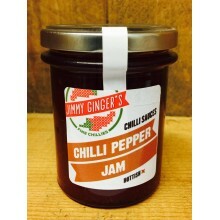 THE Jimmy Ginger's Chilli BBQ RubReknowned for creating brilliant chilli based sauces where the pass..